Congratulations to The Michael Reed Band for winning Hills Alive Talent Search! From Cedar Falls, IA, this Rock/Folk artist The Michael Reed Band will travel to Rapid City, SD to preform live at the regions largest FREE family event of the summer! 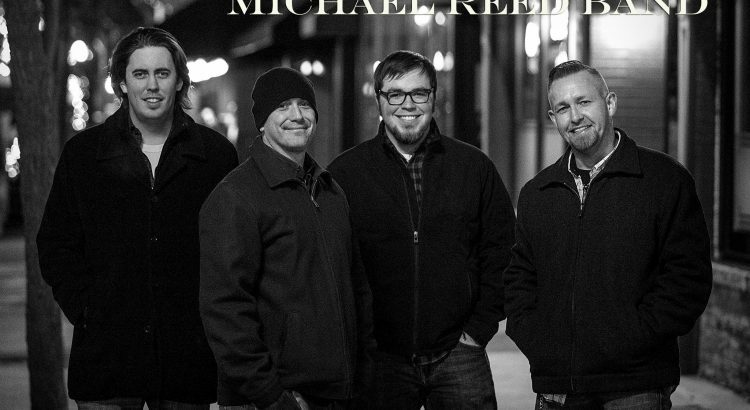 The Michael Reed Band was chosen out of 50 bands competing for Hills Alive, and will move on to the Christian Festival Association(CFA) Nation Talent Search and compete for the ultimate grand prize of a 2017 National CFA Tour Circuit. The Band will preform on Saturday July 16th 3:00pm on the Rapid Fire Stage. About the band: Rock, Folk, Groove, and Soul. From the Cedar Valley, the Michael Reed Band has been playing regionally for the past two years sharing stages with acts from various backgrounds. Due to the versatility of the group and the musicianship of its members, MRB can play with anyone. Opening for acts like POD and Seventh Time Down to Saving Able and The Reverend Horton Heat, MRB loves to worship with fellow believers, but can carry the torch into secular events without hesitation. At the heart of the group is a love for their creator and a love for life. “We try not to take ourselves too seriously… We love to play music and express our love for Jesus… some might call us ‘entertainers’ or ‘evangelists’, but in truth we’re just a group of friends that play on a worship team Sunday mornings and play in bars on Friday and Saturday nights. We wear the same face in both places.” – Neil Matthias. MRB. For more information on the band click HERE. About Hills Alive Music Festival: Hills Alive is the Black Hills Region’s biggest FREE family event of the summer! Taking place in the heart of Rapid City, SD, Hills Alive has been attracting audiences of up to 20,000 people per day from across a 5 state region for over 30 years and the festival is a free community outreach event. For more information about Hills Alive please click HERE.